Our Snowflake Dreamcatcher Bedding Set looks very expensive and great. Snowflake dreamcatcher with starry night sky background, beautiful and dreamy design for you will add sympathetic feeling and romance to your bedroom. 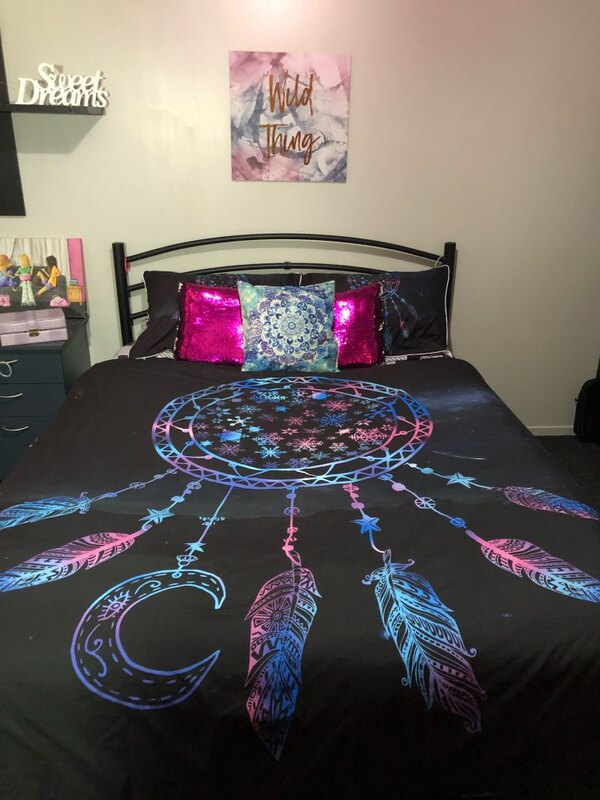 Our Dreamcatcher Mandala bedding has a variety of different patterns, symbols, and colors to make your dreams more colorful. Pleasant dreams move through the hole into the sleeper’s brain, while the bad ones are caught inside the web forever.